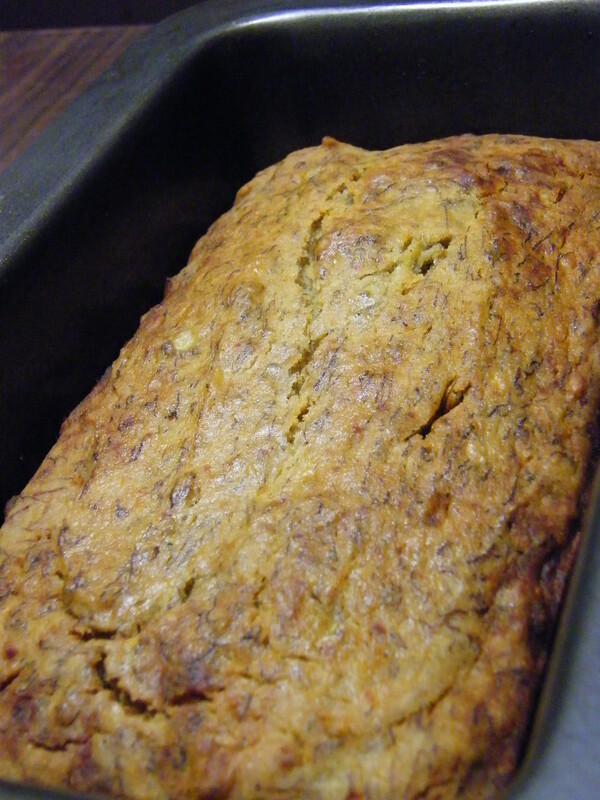 Banana cake and other wonderful | edible. Bananas under two dollars, after the ridiculous $12.98 through winter. Neither of my housemates are big bakers, but there has been a banana bake recipe on the fridge basically since I moved in, and one or the other seem to bake the cake or bread at least once at week. My mum used to make similar and the delicious, caramel smell has been torture. Torture, I tell you. Effort one had too much bicarb. Effort two stuck to the roof of my mouth. Effort three burned, but with the edges trimmed was devoured as a friends birthday cake. Today, excess from a friend’s parents garden landed me a bag of tiny and suspect looking bananas. I grimaced and whined my way through peeling them. I poked and sniffed at their squishyness once they were in the bowl. I mixed according to Banana Cake Attempt #3 and then…. BAM. A batter that tastes like mum’s. This one goes out to the bananas. Stir-it up, lil darlin… Stir it up. Pour into greased/lined tin. Bake until the knife comes out clean. Adjust the sweetener according to how sweet the bananas are. The older they are, the more the sugars will have caramelised. Oh and… I am finally jumping on the lentil bandwagon. A little belated, for a glutenfree vegan. Eh. Find the recipe here. I added baby spinach at the end, and stirred through a little extra cumin. 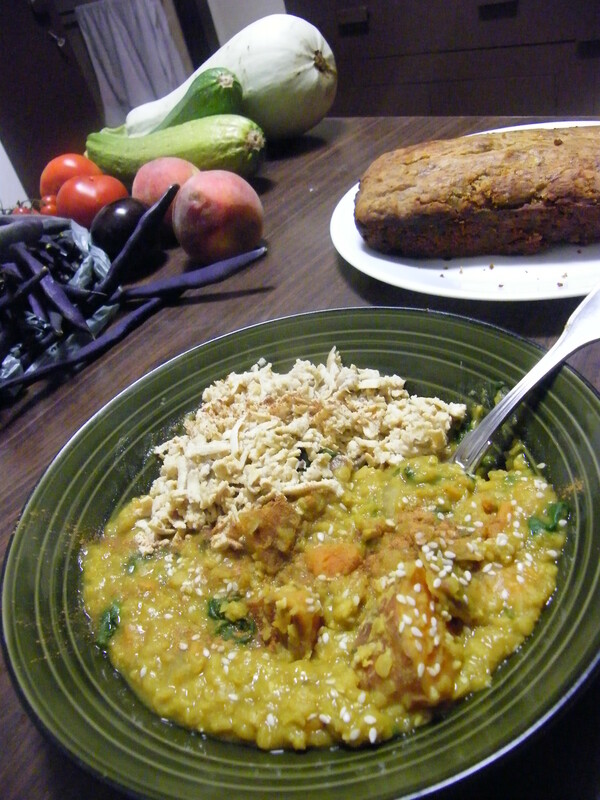 I served this dish with grated tofu and mushrooms, with a tablespoon of vege spread stirred through.